Online Pre-registration for Birth Years 2001-2007 Boys and Girls ($30/player or $45/family). Late and Onsite registration is $50/player with no family discount. Note: We recommend you use Google Chrome, Firefox or Safari when registering. *All players must pre-register online before evaluations (use link above). Verify birthdate and age group and registration and payment are completed. 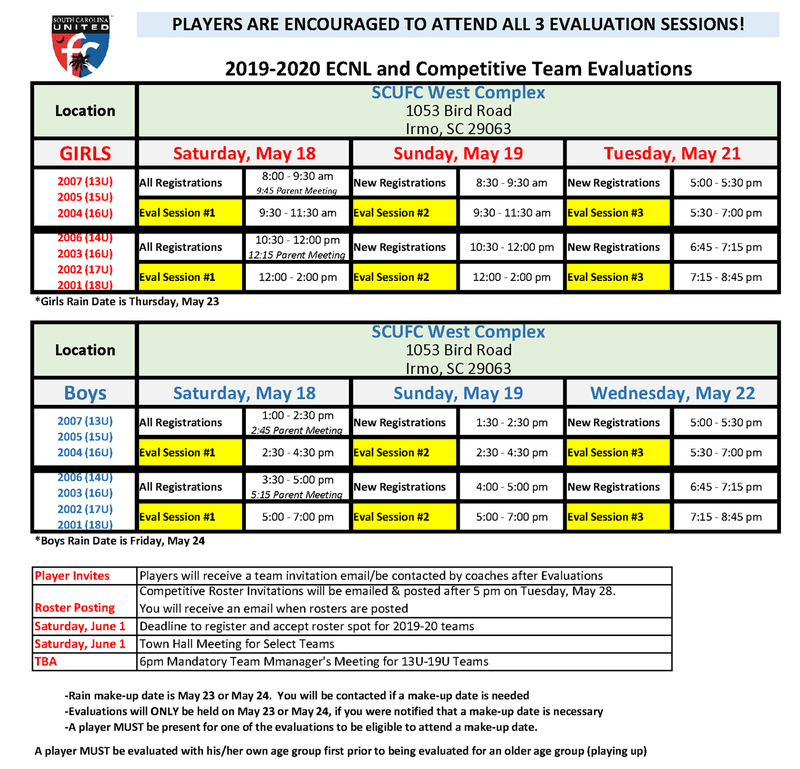 *Once a player has completed the steps above, then the player can go straight to the field for other evaluation sessions (unless they are trying out for an older age group, which they must go back to registration prior to that session). All players MUST BE EVALUATED IN THEIR CORRECT AGE GROUP THE 1ST Day. On the 2nd day, they must come back to the registration table to sign up to be evaluated for an older age group. 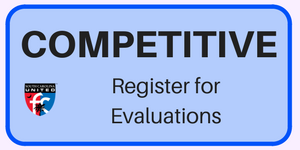 Every player who seeks to be placed on a South Carolina United FC team must complete an online evaluation registration and pay the evaluation fee. *Note: For the 2016-17 season, the 1998 Age Group will also include players born from August 1, 1997-December 31, 1997.